A seasoned oilfield professional who has worked with Schlumberger, Transocean and Oando in many countries occupying numerous roles over a career which has spanned three decades. His wealth of operational and management experience has given him exposure to all classes and specifications of drilling rigs and associated oilfield services. 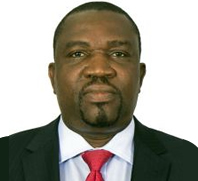 He was appointed as the Managing Director of OES Energy Services Limited in 2011 and under his leadership the company has achieved significant milestones in Operations, People development and HSE. He graduated in Petroleum Engineering from the University of Port-Harcourt in 1986. He is a member of the Institute of Directors and an alumni of the Global CEO Program of IESE Business School.